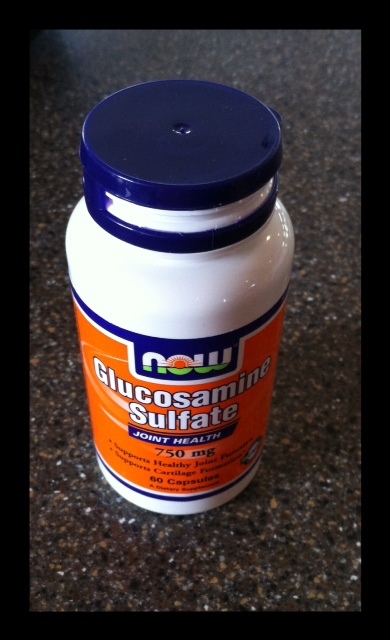 Glucosamine Sulfate works great for inflammation, especially if I’ve been glutenated. It’s not instant, but it does help with my joint pain – specifically. Gluten Free and Dairy Free – from local healthfood store. Hmmm…. dietary elements, and genetic predisposition? When I was almost 14, I found my first breast lump. Scared to death I had cancer – the Dr. reassured me it was nothing to be overly concerned about. There were no recorded cases of a woman with breast cancer below the age of 16. (that is no longer the case). Put your thumb and forefinger together – and that was that was the size of this mass. It was not drainable, as some people have. At age 15, I had the insanely quick-growing, rubberball-type mass surgically removed – and within 2 years, I had 3 more appear. This time, I had one on one side, and 2 on another side. I was questioned about caffeine… ironically I didn’t drink soda, coffee or tea at that point in my life, as my mother was a big advocate of us drinking beverages (she believed at the time) benefited our bodies. Water, and milk. I did drink a lot of milk… and we ate A LOT of grains. Whole wheat breads, pastas…. meats, fruits and raw veggies. Rarely sweets. By the time I was 18 – more and more lumps were appearing – I was told I had “dense” breast tissue… and we opted to go to a learning hospital at the University of Iowa, hoping for some answers on WHY this was happening. It was more than they had ever seen before. They were befuddled. As we talked further with the surgeon we would be working with, he simply couldn’t come up with an answer for why this was happening… but he did tell me that if we continued taking out the masses at this rate, I would not be able to breast feed in my future, as several of the lumps were embedded into the milk ducts of my tissue. At the time, young, arrogant, LOST and planning on NOT having children… the consequences of options on the table, didn’t register. All I knew is… I was going to be cut in my breasts… AGAIN. I wondered how someone would love my imperfect body… enough to marry me. I struggled instead with the irrational idea of my worth of being that “one in a million” girl with all of the weird “unexplainable” health ailments (that no one is supposed to talk about.) My mother assured me any man who truly loved me, would love all of me. Thankfully at this time… I had already met my future husband… and God knew – that someone would love me – unconditionally, and faithfully. I had all lumps over a certain size removed, and the surgeon avoided cutting into too many milk ducts throughout this process. They caused problems throughout my nursing and child-bearing years, making me more prone to chronic infections and mastitis more times than I can count. When I say mastitis, I’m not talking about a few hot lumps in your tissue – that you massage and work through. Anyone who has had it, can attest to the painfulness, and flu-like symptoms that come on like a freight train. Mine would come on within hours, out of no-where, especially if I were newly pregnant, and still nursing. It was often a sign I WAS pregnant before the test had come back positive. At one point my Dr. said we might have to have my breasts surgically removed, the infection was so severe. Think: multiple chicken breasts stuffed under my skin, and into my arm pits. I was newly pregnant with our 6th child, and the idea of losing that child was unimaginable. Thankfully, about 4 weeks of antibiotics that tore up my stomach, and ending my nursing with child #5 seemed to fix things – that time. One thing DID occur while having children and nursing over the course of 12 years. I looked into having those two removed, earlier this year, in the midst of all of this “mess”… but after realizing I was struggling with an auto-immune disease, and needed to try to heal my body first – we tabled that – indefinately. Over all, I would say the size of the fibroids has decreased since cutting out gluten…. and I was VERY interested when I read that many time uterine fibroids, endometriotisis, and PCOS are all tied to gluten sensitivity, and or celiac disease. THAT SURE WOULD MAKE SENSE. But alas, God gave us 4 girls… His ways are best. I hope by cutting out the gluten NOW, while they’re young, it will just be one more thing we can avoid for them later on! Studies show, taking evening primrose oil can help with PMS, endrometriosis, PCOS and things like auto-immune inflammatory responses – like fibroids (in your breasts, uterus, or elsewhere). I did start taking that over a year ago, and I believe it does help with cycle pains. For those of you who have genetic predisposition to gluten intolerance – but perhaps don’t have celiac disease… REMEMBER: continuing to eat gluten just increases your chances for any number of auto-immune diseases/responses, among other major health issues in various systems of the body. Many of which, you’ll never feel – until it’s too late. Please consider if any food is TRULY worth it. Posted on August 25, 2012, in Celiac/Gluten Sensitivity, Change, Diet, Our Struggles and tagged breast fibriods, celiac disease, fibroid-cystic breasts, glucosamine sulfate, gluten intolerance, gluten sensitivity, healthy for him, primrose oil. Bookmark the permalink. 2 Comments. I have just seen this post and have a moment to comment on it. What I want to say is insufficient iodine in the diet can be behind fibrocytic breast disease. The UK is labelled ‘iodine deficient’ by the World Health Organisation, so those who are susceptible for whatever reason (genes etc) will certainly be at a higher risk for this disturbing condition. Thanks for your post, and best wishes to you. Yes! I completely agree. We have addressed the missing iodine, and the other element was the excessive estrogen due to the BCP.